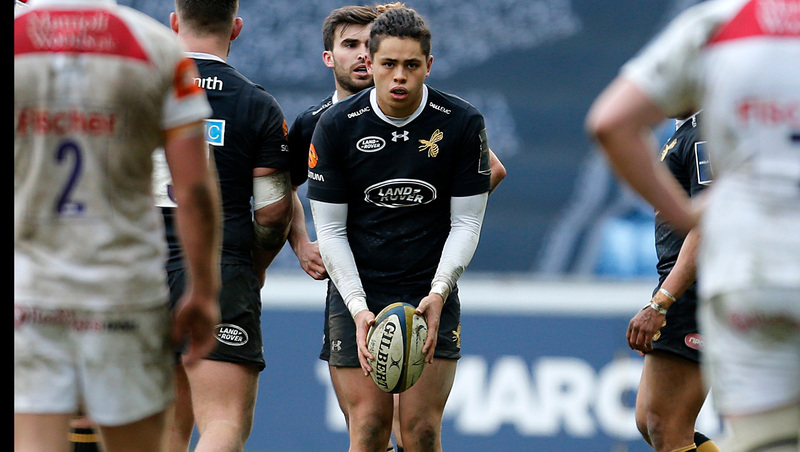 Wasps announce that fly-half Jacob Umaga has been awarded a new academy contract. The Kenilworth School product, who can also play at inside centre, moved to Coventry in 2015 from Leicester Tigers where he had previously been part of the junior academy. The 19-year-old has recently been named alongside teammate Owain James on the shortlist from which this season’s Anglo-Welsh breakthrough player award is chosen. Umaga was part of the England under 20 squad that finished as runners-up in last summer’s World Cup and has appeared on a dual-registration basis for National Two clubs Hinckley and Broadstreet during his time at Wasps. He has to date made seven senior appearances in black-and-gold, all in the Anglo-Welsh Cup, scored four tries and kicked a further 12 points. “Jacob had a really good Anglo-Welsh Cup campaign where his performances at fly half were very good. “Arrangements have just been finalised for him to go to New Zealand and get some game time under his belt playing club rugby in Auckland during the Southern Hemisphere season which is about to start.